The science fiction genre may still have a beating pulse, but its often overshadowed by the likes of blockbusters and big superhero films. Most science fiction films that value ideas and thematic exploration over action tend to struggle in the Hollywood landscape today, which would explain the unceremonious release of Captive State this weekend. Despite bolstering film’s generic marketing effort pre-release, the film is a surprisingly refreshing science fiction story with a purpose. Captive State is set on Earth ten years after extra-terrestrial forces have colonized the planet’s population. The film follows Gabriel (Moonlight’s Ashton Sanders), the son of an anti-alien insurgency who gets whisked up in a plot to take the oppressive aliens down from the inside. 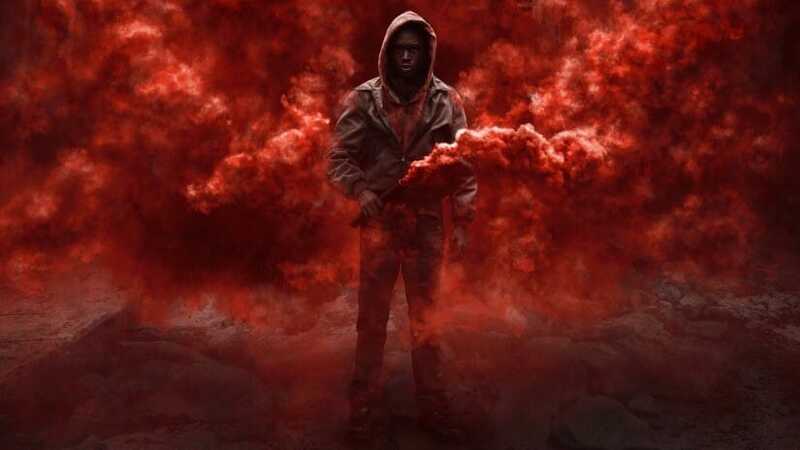 Let’s face it, films like Captive State don’t get wide theatrical distribution very often today, a science fiction endeavor that weighs its ideas and substance over action setpieces. While the execution may leave room for improvement, the success of this original concept offers plenty to celebrate. Many often overlook director Rupert Wyatt’s role in jumpstarting the rebooted Planet of the Apes franchise, laying the emotional and narrative groundwork with Rise of the Planet of the Apes. Serving as director and co-writer for this passion project of his, Wyatt delivers again in the sci-fi genre. Despite working with a 25 million dollar budget, Wyatt does a great job of world-building, setting up this dystopia as a world not far from our modern world. The filmmaker understands how important it is to establish a world through substance rather than flashing some Blade Runner-type imagery. Visually, Captive State is rough around the edges aesthetically, but that ends up being sort-of fitting to the film’s gritty story and the universe. Wyatt incorporates security camera footage and technological readings from the alien’s control, capturing the oppressive state we find our characters stuck in. His direction includes a lot of dynamic style choices that work more than they don’t, and I especially enjoy the thrills Wyatt brings to the film’s tense moments of action. Captive State surprises most with its dramatic impact. John Goodman and Ashton Sanders are essentially co-leads, with both holding the film together with strong performances. I enjoyed Sanders work a lot, as the emotion and conviction he brings to the role gives the character a lot more persoanlity. More significantly though, Wyatt and co-writer Erica Beeney use their science fiction canvas to analyze oppressive government forces and the renegade insurgents who look to uproot them. Seeing the morality and hardship between that struggle gives this movie a much-needed backbone. The scrappiness of this film makes it easy to root for, but it also comes with some noticable issues. Wyatt’s film takes quite a bit of time to find its direction, with the offbeat set-up only being used to set-up a super predictable twist. The script draws a lot of interesting characters and details, but fails to really color them in with detail and nuance. With just a bit more focus, the themes of this movie could have been really effective and had a lot of gravitas behind them, The editing of this film often lacks precision, with some scenes fading quickly or lingering on more than they should. While admittedly rough around the edges, Captive State is a sharp and engaging science fiction film crafted with noticeable passion. I hope this film can find an audience and inspire more science fiction films like it.